Dr. Anawalt is the Chief of Medicine at the University of Washington Medical Center and Professor and Vice Chair of the Department of Medicine at the University of Washington. His principal areas of research are in male infertility, male hormonal contraception and male reproductive physiology. His excellence in teaching has been recognized with several University of Washington Department of Medicine teaching awards: 2014 Marvin Turck Award for excellence in teaching and clinical care, 2007 Endocrinology Fellowship Teaching Award, and 1999 Paul Beeson Award (selected by the internal medicine residents). He has been the North American editor for the Journal of Clinical Endocrinology (2012-2020), Associate Editor for Endocrine Reviews (2014-2017) and has served on the editorial board of the Journal of Clinical Endocrinology and Metabolism (2006-2010 and 2010-2014). He has won outstanding reviewer awards from the Journal of Clinical Endocrinology and Metabolism and the Annals of Internal Medicine. He serves as a consultant to the United States Anti-Doping Agency. He has had leadership positions in the United States Endocrine Society including Council member (2014-2017), Chair of the Hormone Health Network (2006-2010 and 2010-2014) and Clinical Chair of the 2011 Annual Meeting. His clinical focus is in the area of male reproductive endocrinology, and he has received several national and regional awards from his peers for clinical expertise. He earned his bachelor’s degree in anthropology at the University of Santa Clara and his medical degree at the University of California at Davis. He completed his internal medicine residency at the University of Washington in 1992 and served as chief resident at the Seattle VA Medical Center 1992-1993. He completed a fellowship in endocrinology at the University of Washington and joined the faculty in 1995. Alison Boyce, MD is a pediatric endocrinologist and Associate Research Physician in the Skeletal Diseases and Mineral Homeostasis Section, National Institute of Dental and Craniofacial Research, National Institutes of Health. Dr Boyce’s work focuses on bone and mineral metabolism, including rare and pediatric skeletal disorders. She is the Principal Investigator of a natural history study in fibrous dysplasia/McCune-Albright syndrome, a rare disease affecting the skeletal and endocrine systems, and has characterized many aspects of this disorder and its treatment. Additional studies focus on disorders of fibroblast growth factor-23, primary connective tissue disorders, and hypoparathyroidism. Dr Boyce is a faculty member in the joint National Institutes of Health and Children’s National Pediatric Endocrinology fellowship training program. She holds an adjunct position at Children’s National Health System, where she attends in the multidisciplinary Bone Health clinic in partnership with the Division of Orthopaedics. She is a founding member of the Fibrous Dysplasia/McCune-Albright Syndrome International Consortium, and serves as Medical Advisor to the Fibrous Dysplasia Foundation. Associate Professor of Medicine at The Ohio State University Division of Endocrinology, Diabetes and Metabolism. Dr. Dungan attended medical school at OSU and completed her residency and fellowship in 2006 at University of North Carolina. She then returned to OSU where she serves as the division Associate Director of Clinical Services and the director of endocrine clinical trials, and oversees the inpatient diabetes program. She divides her time in clinical care and research in diabetes. Her research focuses on diabetes clinical trials, and ranges from quality improvement, pharmaceutical, and device interventions in the inpatient and outpatient settings. She has presented several times at national meetings such as the ADA and Endocrine Society and has published numerous manuscripts and chapters ranging from glucose monitoring, incretin based therapies, and insulins, to mechanistic and outcomes studies in hospitalized patients. She serves on the editorial board of Diabetes Technology & Therapeutics. She serves as the American Diabetes Association Central Ohio Community Leadership Board president and on the national ADA Scientific Sessions planning committee. Kenneth R. Feingold, MD, received his medical degree from the State University of New York, Upstate Medical Center in Syracuse, New York. He completed his internship and residency in internal medicine at the University of Wisconsin in Madison, Wisconsin and a fellowship in endocrinology and metabolism at the University of California, San Francisco. He is currently a Professor of Medicine in the Endocrinology Section at the University of California San Francisco and a Staff Physician at the San Francisco VA Medical Center. For many years he was Chief of the Endocrine at the San Francisco VA.
Dr. Feingold is a member of the American Society for Clinical Investigation, American Diabetes Association, National Lipid Association, and Endocrine Society. He is an associate editor for the Journal of Lipid Research. He has served on NIH study sections and the V.A. Merit Review Board for Endocrinology. Dr. Feingold’s clinical interests have focused on diabetes, obesity, and lipid disorders. His laboratory has studied the effects of inflammation on lipid and lipoprotein metabolism, the role of lipid synthesis and metabolism in the epidermis in forming the cutaneous permeability barrier, and the role of oxidized lipids in inducing atherosclerosis. Oxford Centre for Diabetes, Endocrinology, and Metabolism, University of Oxford, Oxford, United Kingdom. Jerome M. Hershman, MD, MS, MACP is Distinguished Professor of Medicine at the David Geffen School of Medicine at UCLA, Associate Chief of the Endocrinology and Diabetes Division at the West Los Angeles VA Medical Center and Director of its Endocrine Clinic. He was the Editor of the journal Thyroid from 1991-2000. He received a B.S. in chemistry from Northwestern University, a M.S. in chemistry from the California Institute of Technology, and a M.D. from the University of Illinois School of Medicine in Chicago. He was a resident in internal medicine at Beth Israel Hospital in Boston and the Boston VA Hospital and trained in endocrinology at the New England Medical Center. Dr. Hershman was a faculty member in the Department of Medicine at Northwestern University for 3 years, then at the University of Alabama in Birmingham for 5 years before moving to UCLA in 1972. He has authored over 340 research papers in endocrine literature and written more than 100 authoritative book chapters and reviews about thyroid function and disease. His current research focuses on the molecular biology of thyroid cancer and the management of thyroid diseases. and Staff Physician at the G.V. (Sonny) Montgomery VA Medical Center. Prof. Koch’s focus has been the pathogenesis of endocrine tumors and endocrine hypertension. Peter Kopp is a Professor of Medicine and Chief of the Division of Endocrinology, Diabetology and Metabolism at the University of Lausanne, Switzerland. Dr. Kopp obtained his MD degree and his training in Internal Medicine and Endocrinology at the University of Berne, Switzerland. In 1993, he moved to the United States for a research fellowship supported by a grant of the Swiss National Science Foundation and joined Dr. Larry Jameson at Northwestern University in Chicago. After 3 years, he joined the faculty at Northwestern and rose through the ranks to full professor. He has directed the Center for Genetic Medicine (CGM) at the Feinberg School of Medicine of Northwestern University in Chicago from 2007 to 2014. In 2018, he has moved back to Switzerland to his current position. Dr. Kopp has extensive clinical experience in clinical endocrinology with a focus on thyroid cancer and thyroid dysfunction. His research is focusing on the molecular pathophysiology and genetics of thyroid and other endocrine disorders. Since 2013 he is the Editor-in-Chief of the journal Thyroid, an appointment that reflects his recognized expertise in clinical and basic thyroidology. He has been a member of the thyroid cancer guideline panel of the National Comprehensive Cancer Network from 2002 to 2018. Dr. Kopp is an author or co-author of more than 170 publications, including chapters in major textbooks such as Harrison's Principles of Internal Medicine and he serves as a co-editor of Werner and Ingbar’s textbook The Thyroid. Márta Korbonits, MD, PhD, DSc, FRCP is Professor of Endocrinology and Metabolism, Centre Lead for Endocrinology and Deputy Institute Director at William Harvey Research Institute at Barts and the London School of Medicine and Dentistry, Queen Mary University of London. She is a graduate from the Semmelweis Medical School, Budapest. She was a Medical Research Council Clinician Scientist Fellow working on ghrelin and the hormonal regulation of the metabolic enzyme AMP-activated protein kinase. Her current interests include endocrine tumorigenesis, especially the genetic origin of pituitary adenomas and other endocrine tumour syndromes. She works on both the clinical characterisation as well as molecular aspects of pituitary diseases and leads a large international consortium to study these rare conditions. She published over 200 original papers and has a Scopus H-index of 53. She shares her time between clinical patient care, clinical research and laboratory based research as well as teaching at undergraduate and postgraduate level. She was a recipient of the Society for Endocrinology Medal, the Endocrine Society Delbert Fischer award, The Harrison Award from the Endocrine Society of Australia, The Hadden Lecture Award from the Irish Endocrine Society and the Lady Estelle Wolfson Lecture Award. She was member of the executive board of the Society for Endocrinology, Pituitary Society, European Neuroendocrine Association and European Society of Clinical Investigation. She is Programme Committee Chair for the European Society of Endocrinology. As an Associate Editor for the Journal of the Endocrine Society and for ENDOTEXT she is responsible for the pituitary field. She is member of editorial board of Scientific Reports, Annals of Human Genetics, Journal of Clinical Endocrinology and Metabolism, and Pituitary. 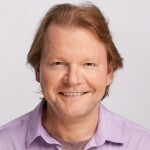 Professor Robert McLachlan is Director of Clinical Research at the Hudson Institute of Medical Research and Consultant Endocrinologist at the Monash Medical Centre in Melbourne, Australia. He is a physician-scientist having obtained a PhD in reproductive medicine from Monash University in 1987 and then he undertook a position as a Visiting Scientist at the University of Washington, Seattle with Dr William Bremner in 1987-1989. Upon returning to Australia he has developed clinical and research interests in the fields of spermatogenesis, male fertility regulation and androgen physiology. He is Consultant Andrologist to the Monash IVF Group with research interests in the genetics of male infertility. He has served as President of the Fertility Society of Australia and as Secretary of the International Society of Andrology, and as a consultant to the WHO on male fertility regulation. Since 2006, he has been Director of the Andrology Australia, a Federal Government initiative committed to research and community & professional education in male reproductive health. He has published more than 220 original papers, reviews and chapters and serves on editorial boards of leading endocrine and andrology journals, and as Editor of the Male Reproduction Section of www.ENDOTEXT.org . John E. Morley, MB, BCh, is the Dammert Professor of Gerontology and Director of the Division of Geriatric Medicine and the Director of the Division of Endocrinology at Saint Louis University Medical Center. He also serves as Medical Director for two nursing homes. Dr Morley earned a medical degree at the University of Witwatersrand, in Johannesburg, South Africa. After an internal medicine residency in Johannesburg, he completed a fellowship in endocrinology at the University of California, Los Angeles. He has edited more than 20 books, and published more than 1300 papers, with major research emphases on the role of neuropeptides in the modulation of hormonal responses and behavior and on nutrition, geriatric assessments, diabetes and hormones in the elderly. He serves as Editor of Journal of the American Medical Directors Association. Leigh Perreault is an Associate Professor of Medicine and Epidemiology striving to transform our current clinical approach to diabetes prevention. Dr. Perreault graduated from the University of Southern California Keck School of Medicine, and completed her residency in Internal Medicine and fellowship in Endocrinology, Metabolism and Diabetes at the University of Colorado Anschutz Medical Campus where she has remained on faculty for the past 16 years. Her curriculum vitae outlines a robust record of publications, most notably a 2012 publication in The Lancet which was the sole topic of a review by Nature, chosen as one of the “hot topics” in diabetes by the Endocrine Society in 2012, and used to design the new standards of care for people with pre-diabetes by the American Association of Clinical Endocrinologists (AACE) in 2013. Dr. Perreault’s overarching research interest lies in understanding the early events that lead to obesity, pre-diabetes and type 2 diabetes in order to identify novel strategies to restore normoglycemia in people with early dysglycemia. 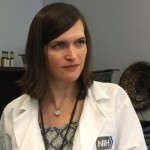 To this end, she has formed numerous collaborations, including with the Centers for Disease Control and Prevention (CDC), as a co-investigator on the Diabetes Prevention Program Outcomes Study (DPPOS) and two PCORI-funded clinical data research networks, as well as pursuing her independent research, which collectively have led to a patent and several awards. 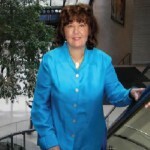 Translation of research for the education of patients and health care providers is one of Dr. Perreault’s top priorities, and is readily evidenced by her dedicated patient care, as well as work as the co-editor of the Obesity section of UpToDate and speaking engagements across the globe. Dr. Jonathan Q Purnell is a Professor of Medicine in the Oregon Health & Science University Knight Cardiovascular Institute and the Division of Endocrinology, and is the Associate Director of the Bob and Charlee Moore Institute for Nutrition and Wellness. He completed medical school at Oregon Health & Science University, Internal Medicine residency at the University of Vermont, and Endocrine Fellowship at the University of Washington under the mentorship of Dr. John Brunzell. His work as a physician scientist focuses on understanding the causes and consequences of obesity, metabolic syndrome, dyslipidemia, and diabetes in humans. Dr. Purnell is a member of the American Physiology Society, The Endocrine Society, The Obesity Society, The American Federation of Medical Research, and The American Diabetes Association. Dr. Rebar received his M.D. degree from the University of Michigan in 1972 and from 1972 to 1974 was a resident in obstetrics and gynecology at Parkland Memorial Hospital in Dallas, Texas. He was a Clinical Associate in the Reproduction Research Branch of the National Institute of Child Health and Human Development (1974-1976) before completing his residency in Obstetrics and Gynecology at the University of California at San Diego Medical Center (1976-1978). After his residency, Dr. Rebar continued on at the University of California, San Diego for six years (1978-1984), serving as Associate Professor and Director of the Division of Reproductive Endocrinology for the last two of those years. He was Professor and Head of the Division of Reproductive Endocrinology and Infertility in the Department of Obstetrics and Gynecology at the Northwestern University School of Medicine (1984-1988). Dr. Rebar then was Professor and Chairman of the Department of Obstetrics and Gynecology at the University of Cincinnati College of Medicine from 1988 through 1999 and served as Associate Executive Director of the American Society for Reproductive Medicine (ASRM) from 2000 through 2002. He then served as Executive Director of the ASRM from 2003 through 2013 before retiring and moving to Michigan. Dr. Rebar is certified by the American Board of Obstetrics and Gynecology in obstetrics and gynecology and subspecialty certified in reproductive endocrinology and infertility. He is a member of numerous professional societies, including the American College of Obstetricians and Gynecologists (Fellow), the American Gynecological and Obstetrical Society, the Endocrine Society, and the Society for the Study of Reproduction. Dr. Rebar has served on the editorial boards of several journals and is currently an Associate Editor for Journal Watch Women’s Health and OB/GYN Clinical Alert. Dr. Rebar has contributed to many books, as well as authored over 250 articles on menopause, fertility, and reproductive endocrinology and has been the Principal or a Co-Investigator on several NIH grants. Frederick R. Singer, MD is Director of the Endocrine/Bone Disease Program at the John Wayne Cancer Institute at Saint John’s Health Center, Santa Monica, California and is Clinical Professor of Medicine at UCLA School of Medicine. Dr. Singer is past Chairman of the Board of Directors of the Paget Foundation and past president of the American Society for Bone and Mineral Research. He has served on many national public health committees, including as chairman of the USPHS FDA Endocrinologic Metabolic Drug Advisory Committee, on NIAMSD ad hoc review groups on osteoporosis, and as co-chairman of the NIAMSD National Research Plan Task Force on Bone Biology and Bone Diseases. He also was Chairman of the National Cancer Institute Special Study Section on Molecular Interactions Between Tumor Cells and Bone in 2003. Dr. Singer has served on the editorial boards of Calcified Tissue International, Journal of Bone and Mineral Research, Journal of Clinical Endocrinology and Metabolism, and Osteoporosis International, Dr. Singer received his MD degree from the University of California School of Medicine, San Francisco in 1963. He completed his postgraduate training in internal medicine at the University of California Affiliated Hospitals, Los Angeles, followed by research fellowships in endocrinology at the Royal Postgraduate Medical School, London and the Massachusetts General Hospital, Boston, Massachusetts. His research interests are skeletal complications of malignancy, Paget’s disease of bone, primary hyperparathyroidism, osteoporosis and the effect of vitamin D on breast cancer. Dace L. Trence, MD, FACE is currently Director of the Diabetes Care Center and Associate Professor of Medicine at the University of Washington Medical Center in Seattle. She is also the University of Washington Endocrine Fellowship Program Director and Director of Endocrine Days, a medical education program for endocrinologists practicing in the Pacific Northwest. She currently serves on the American Association of Clinical Endocrinologists Board of Directors, chairing the AACE CME committee. She has been on the editorial boards of several journals including Clinical Diabetes. She has had articles published in JCEM, JAMA, Diabetes Care and is a co-author of Optimizing Diabetes Care for the Practitioner. Her current interests include improving educational processes in diabetes self management, clinical training of health care professionals, and vitamin D effects on glycemic control. A pediatric endocrinologist by training, Dr. Don Wilson has devoted the past 20 years of his career to cardiovascular health and risk prevention in children and adolescents. Recognizing that CVD is the leading cause of morbidity and mortality in the U.S. and developed countries, Dr. Wilson developed 3 unique Cardiovascular Health and Risk Prevention Programs as a member of the academic faculty of Texas A&M University, University of Arizona, and Texas Christian University. Currently he serves as the Endowed Chair of the Cardiovascular Health and Risk Prevention Program at Cook Children's Medical Center, in Fort Worth Texas. This program is designed to better understand the cause(s) of premature cardiovascular diseases, including genetic and acquired forms of dyslipidemia, insulin resistance and "pre-diabetes", childhood obesity and weight related health risks. Dr. Wilson is board certified by the American Board of Lipidology, a Fellow of the National Lipid Association and an Associate Editor for the Journal of Clinical Lipidology. He is currently a member the Board of Directors of the Southwest Lipid Association and the American Board of Clinical Lipidology and a reviewer for the Journal of Clinical Lipidology, Atherosclerosis, the Journal of Pediatrics, Pediatrics, Clinical Pediatrics, Diabetes/Metabolism Research and Reviews, and International Journal of Obesity. He has authored over 100 peer-reviewed articles, including many which focus on CVD risk burden, prevention, and treatment in children with genetic and acquired disorders of lipid metabolism.